I am a 1986 graduate of Oklahoma State University with an associate degree in automotive technology. After graduating, I spent two short stints at GM dealerships before settling in at an independent repair facility. I worked my way up to lead technician and completed my ASE Master Technician certification. 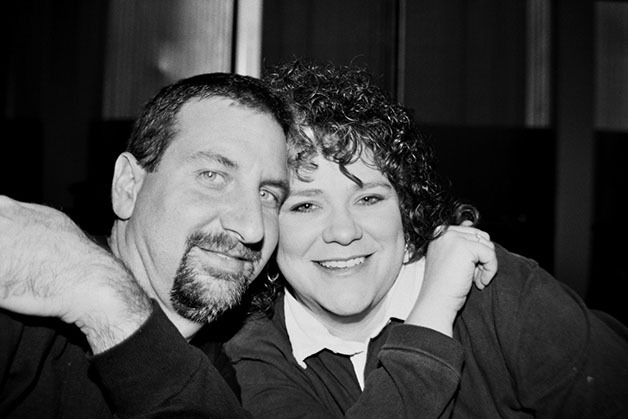 In 1997, Marsha (with her background in accounting) and I decided it was time to open our own business. We felt we could offer superior customer value and satisfaction for services rendered. We rented a two bay facility and called ourselves The C.A.R.R. Shop – Carthage Auto Race & Repair. Four years later we realized we needed more space to effectively meet the needs of our growing customer base. We purchased 2.5 acres and built our current facility. In the design phase we decided to build for future growth. With our renewed interest in motorcycles, we had space to explore our interests. We were involved in drag racing, and while looking for a pit bike, I stumbled on Ridley Motorcycles. After hearing about and then seeing these bikes at the Ridley factory — we were hooked! Knowing Marsha, I realized there was no way we would be buying just one, because she was never interested in riding behind me. After discussing this with Ridley owners, Clay and Jay, we realized that their commitment to quality and our commitment to service would be a great match. Route 66 Ridley Motorcycles was born. So, if you are in the market to buy, need service or parts, or just want to see and hear these great bikes for yourself, stop by our showroom and check out our selection. We promise a no-pressure, family-friendly environment where you can take a quick peek or spend all day. We also offer and encourage demo rides. Whether a seasoned rider or even if you've never ridden a bike, we promise you will love the feeling of freedom when riding a Ridley. OFFERING UNMATCHED QUALITY, STYLE, SERVICE, AND SUPPORT!